Churchill Island, Westernport Bay off Phillip Island, includes the entire island and linking timber bridge, with all buildings and objects located on it. The island was first 'settled' by Lieutenant James Grant in 1801, when a cottage was erected and garden planted, no evidence of which remains. The present, symmetrical weatherboard homestead dates possibly from the 1860s, parts may be older. 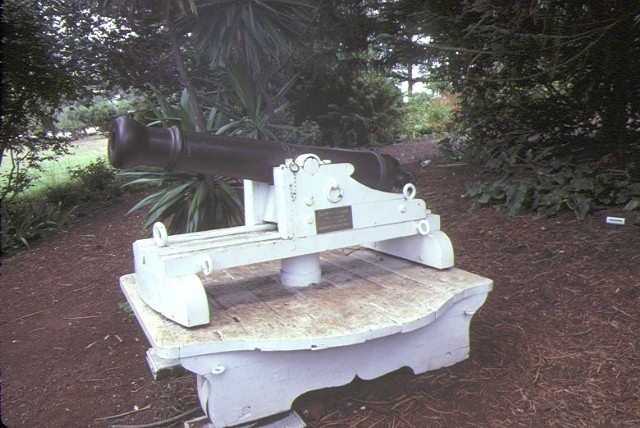 There is a cannon from the warship Shenandoah (1865). 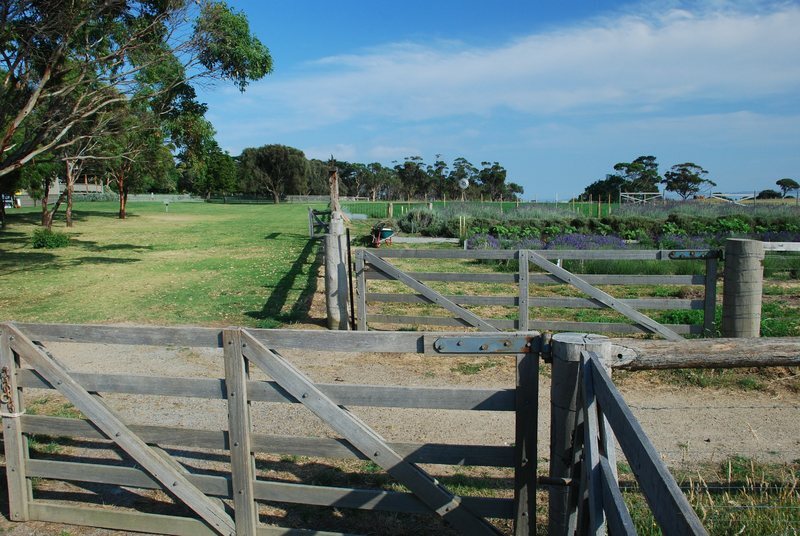 Churchill Island, Westernport bay off Phillip Island, is the site of the first European settlement in Victoria, James Grant of the Lady Nelson having built a cottage and planted wheat, corn and a garden in 1801. The island is unique in the history of Victoria and was until recently the only privately-owned island in Victoria. Churchill Island is a most important landscape element in Westernport bay. The present homestead is representative of homestead building and is unusual for its planning. The island has been acquired by the government of Victoria for public uses. Future plans are unclear. Current landscape is pastoral. Minor Works: Any Minor Works that in the opinion of the Executive Director will not adversely affect the heritage significance of the place may be exempt from the permit requirements of the Heritage Act. A person proposing to undertake minor works must submit a proposal to the Executive Director. If the Executive Director is satisfied that the proposed works will not adversely affect the heritage values of the site, the applicant may be exempted from the requirement to obtain a heritage permit. If an applicant is uncertain whether a heritage permit is required, it is recommended that the permits co-ordinator be contacted. The following specific activities are permit exempt.
. For those buildings of no heritage significance, the visitor centre and cafe, 1999 bridge, works area buildings and farm precinct buildings, demolition, replacement and introduction of contemporary fabric and fit outs to the interiors (joinery; electrical equipment; services; cabling; lighting; cupboards and storage; kitchen, catering and bathroom fittings and fixtures; wall, window and floor coverings), provided the works do not change or impact on the external appearance and form of the existing buildings.
. For buildings of no heritage significance, including the visitor centre and cafe, the replacement of external fabric replacing 'like with like'.
. Repair and maintenance of all buildings and built structures, including repainting previously painted surfaces and replacing/repairing damaged or deteriorated fabric components with the same materials.
. Repair and maintenance of existing roads, pathways and car parking areas, steps, gutters, drainage and irrigation systems, edging, fences and gates, including repairing and replacing with the same materials.
. Repair, maintenance and replacement of park/outdoor/picnic furniture including rubbish bins in the same locations, including like-for-like replacement to match existing park furniture.
. Removal of objects, including farm machinery, not identified in the CMP as being of heritage significance.
. The process of gardening; mowing, hedge clipping, bedding displays, removal of dead plants, disease and weed control, emergency and safety garden works.
. Removal of dead or dangerous trees and emergency works to maintain public safety and to protect buildings and structures, provided notification is provided to the Executive Director within 21 days of the works being undertaken.
. Management of trees in accordance with Australian Standard; Protection of Trees on Development Sites AS 4970.
. Installation, removal or replacement of garden watering and drainage systems outside the tree protection zone of trees.
. Watering, mowing, top-dressing and fertilising necessary for the continued health of plants, without damage or major alterations to layout, contours, plant species or other significant landscape features.
. Pruning trees to control size, improve shape, flowering or fruiting and the removal of diseased, dead or dangerous material, not exceeding 20% of the crown of the tree within a period of two years.
. Tree surgery by a qualified horticulturalist or tree surgeon necessary for the health of those plants.
. Emergency and safety works to secure the site and prevent damage and injury to property and the public. If any Aboriginal cultural heritage is discovered or exposed at any time it is necessary to immediately contact the Aboriginal Victoria to ascertain requirements under the Aboriginal Heritage Act 2006. If works are proposed which have the potential to disturb or have an impact on Aboriginal cultural heritage it is necessary to contact the Aboriginal Victoria to ascertain any requirements under the Aboriginal Heritage Act 2006. Under the Heritage Act 1995 permits are required for any works or activities which alter the place or object, unless a permit exemption is granted. This applies to all parts of the registered place including fabric associated with Aboriginal and non-Aboriginal cultural heritage values. Ground disturbance may affect the archaeological significance of the place and, subject to the exemptions stated in this document, requires a permit. A permit is likely to be required for all sub-surface works in the vicinity of the Homestead precinct, Lt Grant 1801 area, north coast and south-west coast jetties and former White House precinct, and for any substantial works throughout the park that will affect the below-ground component of the place.